It may still be the middle of winter, but the Chillicothe Public Library is thinking spring and launching an eight-session program series on the importance of pollinators and how the public can help them thrive. The library is partnering with community members, scientists, museums and conservation groups for the series, titled “Pollinators: What’s the Buzz.” The program will explore topics related to pollinators and their interactions with human civilization, with a focus on bees and butterflies. The public will have a chance to become “citizen scientists” through hands-on activities, including raising butterflies at home and learning how to photograph pollinators and insects in their own backyards. “This is a way of making people aware of nature and the need to get outside and be part of the environment,” said master naturalist Mike Contratto, who was the catalyst for the program. Ironically, record-breaking cold forced the library to reschedule the first session from Jan. 29 to 6 p.m. Wednesday, Feb. 6, at the library, 430 N. Bradley Ave. Contratto will discuss what pollinators are, their importance to human food production and other ways they improve our lives. The session will also look at ways humans can protect endangered pollinator species. A native Californian, Contratto has had a lifelong interest in nature and became a master naturalist four years ago after retiring from his career as an engineer. He’s volunteering with the Chillicothe Park District to restore a 48-acre property in Coal Hollow Park and has helped schools in Chillicothe and Dunlap plant pollinator gardens. At the second program session at 6 p.m. Feb. 26, Contratto will share tips on small changes people can make to their yards and gardens to make them more inviting and attractive to pollinators and how that can help gardens be more colorful and fruitful. 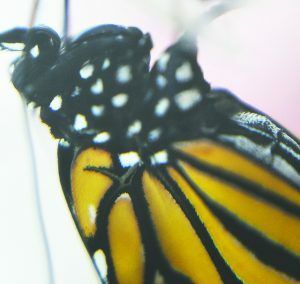 The third program at 6 p.m. March 21 will feature Abigail Derby Lewis, a senior conservation ecologist at the Field Museum, who will discuss the museum’s urban monarch conservation program and efforts to understand the role and opportunities small and mid-sized cities have in supporting monarchs and other pollinators. In the fourth program at 6 p.m. April 4, biologist Andrew Diallesandro will talk about efforts of the U.S. Fish and Wildlife service in this area to increase the population of the Rusty Patched bumblebee, which was recently declared an endangered species. “One of the places the Rusty Patched bumblebee has been noticed is in the Peoria area, so it’s been chosen as a target area for increasing its population, and we do that through gardening and wildlife spaces,” Contratto said. In addition to choosing certain plants for their gardens, citizens can get involved by taking and posting photographs of insects in their yards to help researchers track the distribution of that bee and other pollinators, he added. The fifth program in the series at 6 p.m. May 23 will offer tips on how to take pictures of pollinators, which tend to be very small and move quickly. Lesley Deem, director of the University of Illinois Pollinatarium, and Contratto will teach a variety of ways to photograph pollinators and provide information about websites where people can post their pictures. The sixth program will focus on honeybees and beekeeping at 6 p.m. June 20. Although honeybees are not native to North America, they’ve been widely valued for their honey and used in crop pollination, and raising bees has become a popular hobby. Beekeeper Steve McNair will provide an overview of honeybees, share tips on how to get started in beekeeping and talk about some of his unique bee-related projects. In the seventh program at 6 p.m. July 18, citizens can join the Central Illinois Monarch Butterfly Task Force by learning how to raise monarch and swallowtail butterflies in their own homes. Attendees will build a cage, and the session will explore the library’s prairie to find butterfly eggs or caterpillars to raise. Registration for this session only must be made by July 11 to make a cage. “The survival rate for butterflies increases if they’re hatched in captivity because there are a lot of natural predators and other things that can happen to the eggs and the chrysalis in the wild,” said Catherine Barnett, the library’s director of adult programming. While the sessions are open to all ages, Contratto said the July program is particularly a good one for parents to attend with young kids. 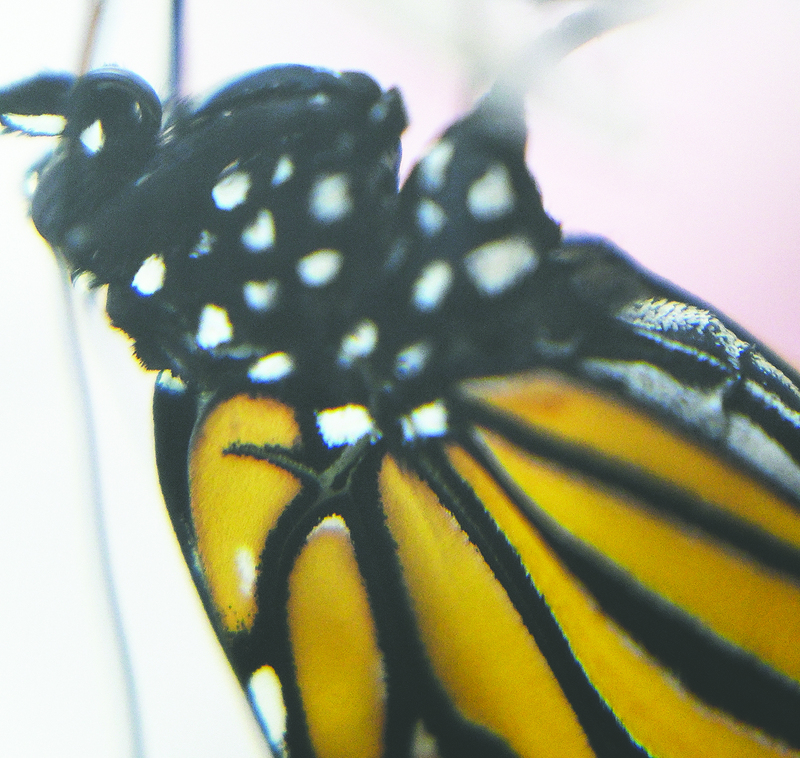 “Raising monarchs at home really is fantastic for kids. Seeing the metamorphosis up close in your own house is a powerful thing, and it also does benefit the monarchs,” he said. In the final program at 6 p.m. Aug. 29, Angela Moorehouse, a field biologist and natural areas preservation specialist with the Illinois Nature Preserve Commission, will discuss how she uses pollinator photography to identify native pollinators and document what flowers they visit, their habitats and their behavior. She will also announce the winners of a citizen science photography contest. The library will accept contest entries in August, but details of the contest are still being finalized and will be announced later on the library’s website and Facebook page. “We’re hoping people will be able to identify the subjects of their photographs. If they need help, we’ll provide some resources on how to identify them to make that an educational and engaging part of this photo contest,” Barnett said. 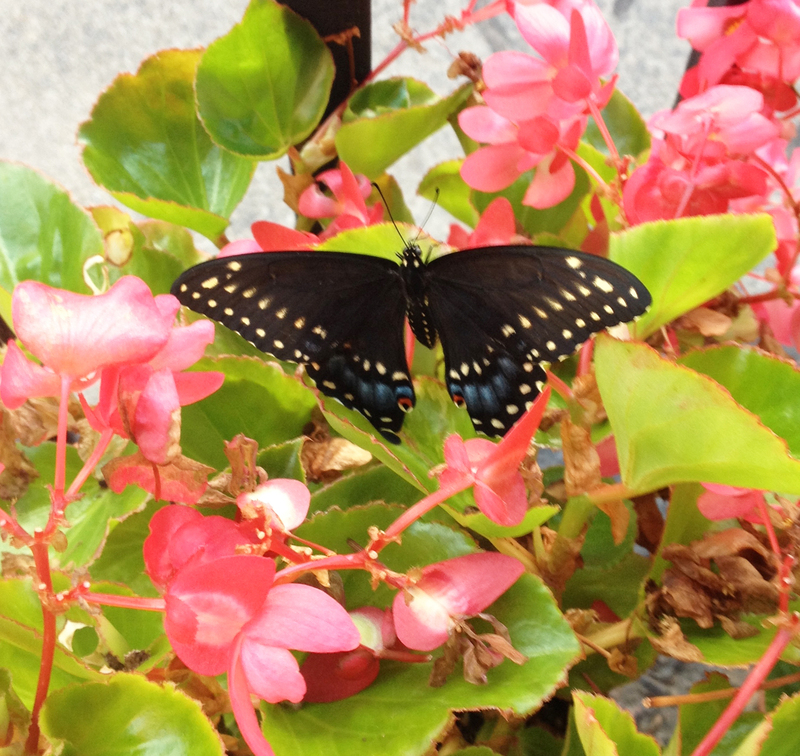 For more information about the pollinators program series, visit Chillicothe Public Library or call 309-274-2719.